Functional Training: You've Been Duped. Functional Training: You’ve Been Duped. Surrounded by people struggling through wobble boards and 10lb bosu biceps curls, I nearly ran for cover to avoid being clubbed with a stray, flailing dumbbell. This is not functional training. Rather it is inefficient and potentially dangerous training. Functional training is training for a specific cause, to improve a certain function for better performance. This could be a sprint mechanics session to improve a sport, a high-volume weight training routine to build muscle, or some high intensity intervals to shred fat. Specifically, training should match the biomechanical (movement), energetic, and coordinative aspects of the sport or activity being trained for. Is there a sport that requires this? For a Powerlifter it’s completely functional to perform near-maximal lifts and good mornings to strengthen the lower back, but this same function doesn’t apply for someone rehabbing a lower back injury. If your only goal is to look good naked then functionality will be focused on bringing up body parts that have the greatest visual impact on your physique. In this case, performing curls, triceps extensions, and various shoulder raises are completely functional because they bring you closer to your goal of bigger arms. 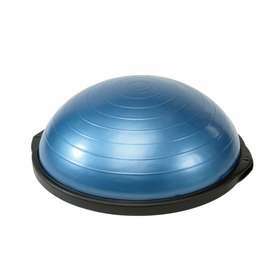 You know those half balls, small pumped up disks, wobble boards, and stability balls? Ditch em’! Unless you are trying join cirque du soleil using these devices they are pointless and potentially dangerous. Looking to increase stability? You better be stable on one or two feet on solid ground, where sports are being played. The only thing unstable surfaces improve is your ability to use an unstable surface. That’s it. In athletic populations it’s best to avoid these devices as reduce power output, a vital factor for sporting success. In this research study by Eric Cressey and colleagues at the University of Connecticut unstable training was shown to dilute performance gains in healthy, training, division 1 athletes. When standing on an unstable surface energy being applied to support the body is being dispersed. This is known as a power leak and leads to decreased power output– a key attribute for nearly all sports. Unstable surfaces used in training are a limiting factor and limit power productive in training, to the detriment of sports performance. As stated, functionality is goal related. If your goal is to be stronger use progressive overload and multi-joint movements. If your want to excel athletically maximize specific movement patterns for your sport and top it off with specific resistance training protocols. If you want to be shredded use a combination of a great diet, anaerobic/aerobic training, and heavy resistance training to hold onto muscle in a caloric deficit. Define your goals and what you are looking to achieve in your training. Stick to evidence based protocols and if needed, contact a professional who has done it before . Blind-folded Bosu ball sandbag squats are recipe for sub-par gains, not high-performance. Stick to tried and true methods for rapid results to build a strong, shredded, and athletic body. Cressey, E.M., C.A. West, D.P. Tibiero, W.J. Kraemer, and C.M. Maresh. The Effect of Ten weeks of Lower-Body Unstable Surface training on Markers of athletic Performance. ” National Center for Biotechnology Information.” Journal of Strength and Conditioning Research ns 21.2 (2007) :561-567 PubMed.gov.Web 28. June 2012. <http://www.ncbj.nlm.nih.gov/pubmed?term=$20Eric%20Cressey>. Your blogs are full of great information. The nice part for me is that your research and recommendations are consistent with my trainers and the two of you are making my choices on training and nutrition so much easier. Let me restate that easier; but still not easy. The carb cycling suggestion was such great advice. I am starting to lose weight and feel so energetic now, thank you. Thank you for your kind words! Keep up the good work and let me know if you have any questions.